Sweet Almond Oil - Amphora Aromatics Ltd – Supplier of pure essential oils and aromatherapy Products. Suitable for use on its own or as a base oil for massage. Sweet Almond is rich in Vitamins A, B1, B2, B6 and E. It's full of monounsaturated, polyunsaturated and saturated fatty acids. It conditions the skin and helps to promote a youthful, healthy complexion. Sweet Almond is the base oil of choice for most massage therapists. This is because it stays on the skin long enough to make massaging easier for both the masseur and the client. 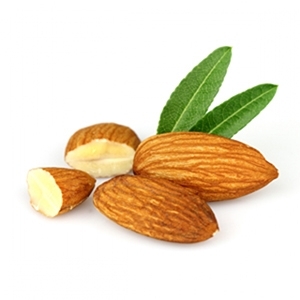 Sweet Almond Oil is suitable for use with any essential oil that is ok to use on the skin. Additionally it may be included in blends with other more expensive carrier or vegetable oils to lessen the cost of using them.